MACHETE began his musical career back in 1992 as DJ Rob G, playing Hip-Hop at infamous afterhours events such as No-Doz, What?, and Caffiend. The Los Angeles underground rave culture grew to be a motivating force and Rob became inspired by the burgeoning techno-breakbeat music emerging out of England via vinyl records played by DJs Raw, Curious, and Oscar da Grouch. These bass-heavy beats that evolved from Old-School breaks layered with Hip-Hop and Reggae samples were intriguing and pulled him in a new direction. Around 1994 Rob decided to change his professional name to Machete to better evoke the nature of his mixing and cutting skills in relation to this new jungle music. As DJ Machete, Rob began putting Junglist Platoon on the map by getting booked at nearly every jungle event in the Greater Los Angeles area while also building a network of contacts that would eventually lead to bookings at events outside of California. Machete has also showcased his skills in Hawaii, Vancouver, and in numerous cities and states across the continental US including New York, Miami, Chicago, Texas, Seattle, Portland, San Francisco and many more. He made history as one of the first Jungle/DnB DJs flown to perform in Anchorage-Alaska, alongside San Francisco’s Sage, and has been fortunate to play on the same bills alongside nearly every major heavyweight in the Drum and Bass scene. Machete was also a featured artist on various dates of the now infamous Kung Fu Knowledge Tour in 1999. In March of 1999, the Junglist Platoon started a weekly event called RESPECT with Machete in charge of talent bookings as well as being a resident DJ and head of promotions. In March of 2000, after only a year’s worth or promoting experience, Machete organized a RESPECT event at the Winter Music Conference in Miami which successfully placed the RESPECT brand at the forefront of Los Angeles Drum and Bass. After 13+ years, RESPECT is the longest running Jungle/Drum and Bass weekly in Los Angeles in addition to being one of the most successful clubs in the United States. RESPECT is globally known for bringing the best in international and stateside talent and continues to do so after settling into it’s fifth and most current venue, The Dragonfly in Hollywood. 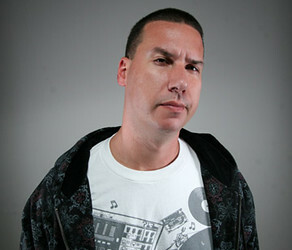 In 2012 Machete is busier than ever, hosting a weekly internet show called Respect DnB Radio on www.dnbradio.com, booking Drum & Bass tours in North America as an agent of Circle Talent (www.circletalentagency.com), and engaging projects proving his versatility as an artist and businessman. DJ Machete’s longevity speaks for his talents, dedication, and determination which has surely solidified his place in the world music scene.